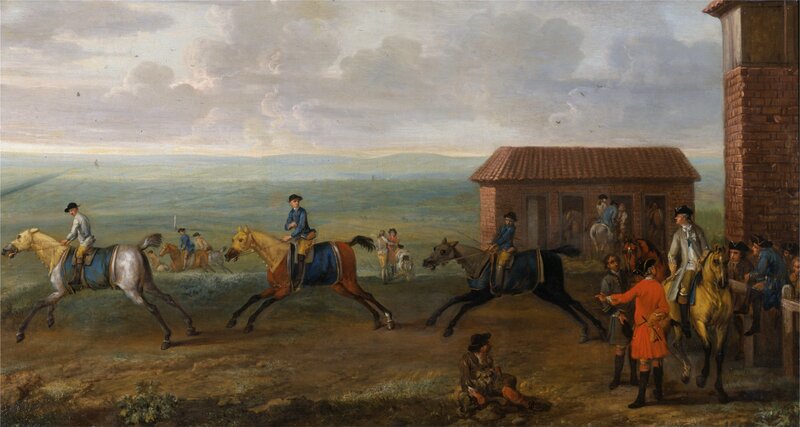 This painting demonstrates how painters had a hard time painting horse movements correctly. The main Patron of this painter was a Lord Edward Harley, 2nd Earl of Oxford. (2nd June 1689/16th June 1741). At his old house, Wimpole, Cambridgeshire, England, you can find may similar paintings as well as nearly full size paintings of horses. Currently a National Trust property and open to the public with the collection available on line.